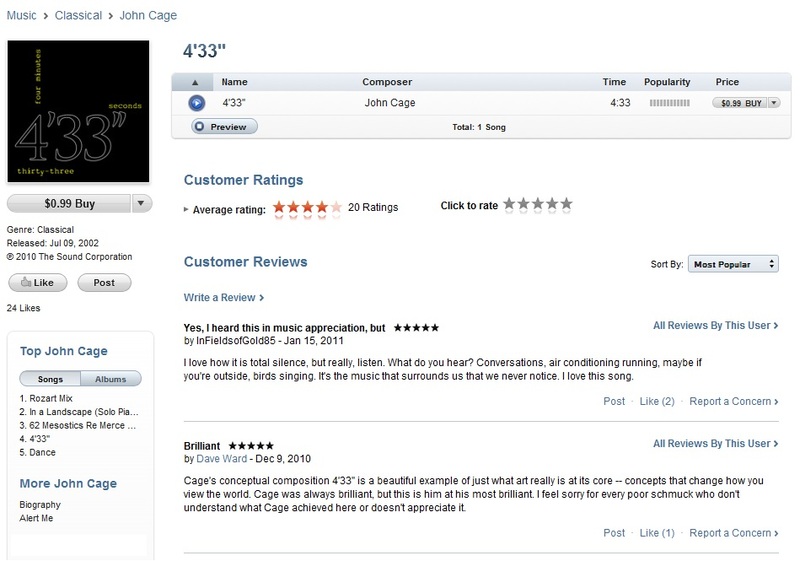 You don't have to be a classical music fan to enjoy John Cage's 4' 33" (as in "four minutes, thirty-three seconds"). Considered by Cage to be his most important work, the three-movement piece was composed in 1952 for any instrument or combination of instruments. The twist? It's four-and-a-half minutes of complete silence. Believe it or not, 4' 33" has been "performed" by full orchestras in front of live audiences. And yes, you can even purchase it on iTunes. Maybe I'm just too much of an ignoramus to appreciate this as music or art, but as a father of three I can understand paying to enjoy four-and-a-half minutes of silence.